“Good night from space station”. Born on September 24, 1975, Nick Hague is an American flight test engineer and a NASA astronaut of the class of 2013. Selected to be a flight engineer on the International Space Station, his first launch was on Soyuz MS-10, which aborted shortly after take-off on October 11, 2018, due to a booster failure. The crew, Hague and the Russian cosmonaut Aleksey Ovchinin landed safely after a ballistic descent. His second launch, on March 14, 2019, was successful, taking him and his fellow Soyuz MS-12 crew members to join ISS Expedition 59/60. Ovchinin, too, launched to the ISS again on Soyuz MS-12, with Hague and Christina Koch, NASA astronaut of the class of 2013. 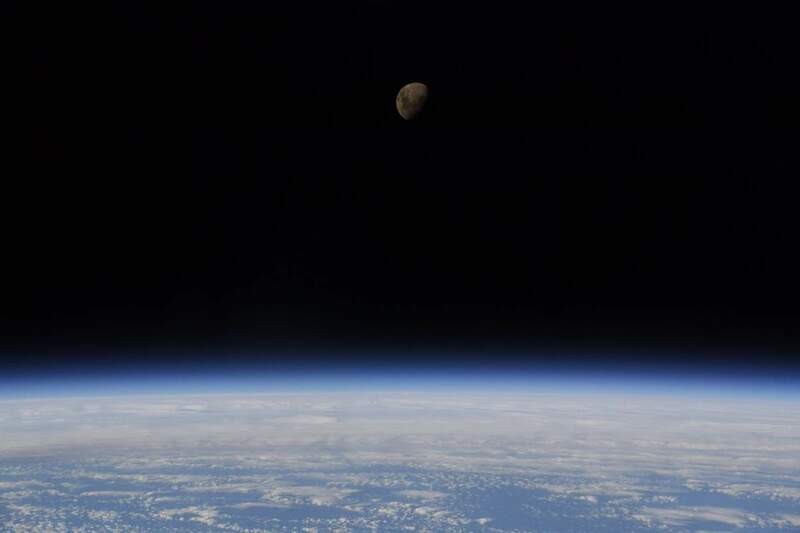 Amazing photo of the moon by the NASA astronaut Nick Hague.